FAQ » How to remove/Uninstall WhiteSmoke? Click here to see the instructions for removing the WhiteSmoke Toolbar from your browser. To remove it from your computer please go to "Start" -> "Control Panel" -> "Add Remove programs", select "WhiteSmoke" and click "Uninstall"
Serving customers in the USA since 2002! The program is a breeze to use! I like the writing style suggestions and the grammar checker. WhiteSmoke makes working easier. 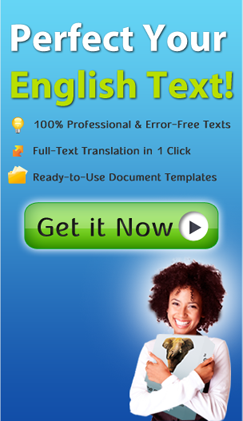 English grammar are fixed automatically, and I know my business emails are effective. I am learning ESL and WhiteSmoke really helps. My writing improves daily, and the corrections it makes help me learn English writing. English is not my first language, so I use WhiteSmoke to fix my grammar mistakes at work. It is a real help. Thanks. I love this program. You guys have come up with a great product that really helps me write better. Keep up the good work! I check all my English emails for grammar and spelling errors before I send. WhiteSmoke helps me write professionally for international business. I work as a freelance programmer, and WhiteSmoke helps me communicate better with clients around the world. Thanks! I study international business and I need to improve my English. WhiteSmoke proofreads my writing and gives me tips for improving. I just returned from 1 year of study at a US university, and WhiteSmoke saved me on a number of occasions, fixing grammar errors in my work. My English is quite good, but I still manage to catch a lot of errors with WhiteSmoke, so it is a big help. I have a blog in English, and WhiteSmoke catches all my grammar and spelling errors before I publish. My writing is more confident, and my readers love the content. I have difficulties with grammar rules in English, but WhiteSmoke helps me fix errors and improve my university essays. I taught myself English, but I still find the grammar difficult. WhiteSmoke fixes my mistakes and teahces me how to avoid them. I communicate with people daily on the Internet, and it is a lot easier when my grammar and spelling is correct. Thanks for a great program. I work for an international firm, and all my work is in English. WhiteSmoke helps me write to native-speaker standards.